I used to look at my monthly training volume but since one of my focuses this training cycle has been to keep it simple I haven’t been looking at the monthly numbers. Just the weekly totals. 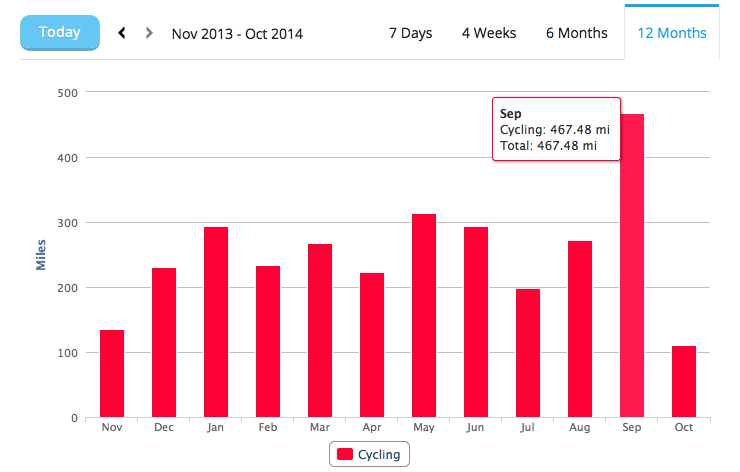 Anyway, I looked at my September data and I was shocked. 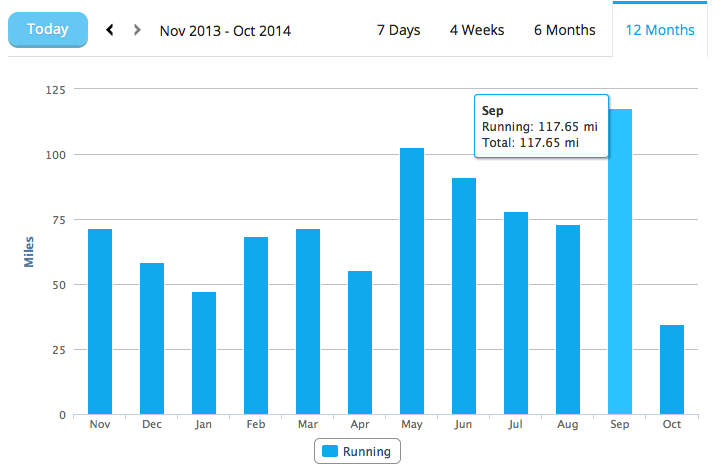 Granted, I crashed in August so that had the numbers down for that month, but still WOW! 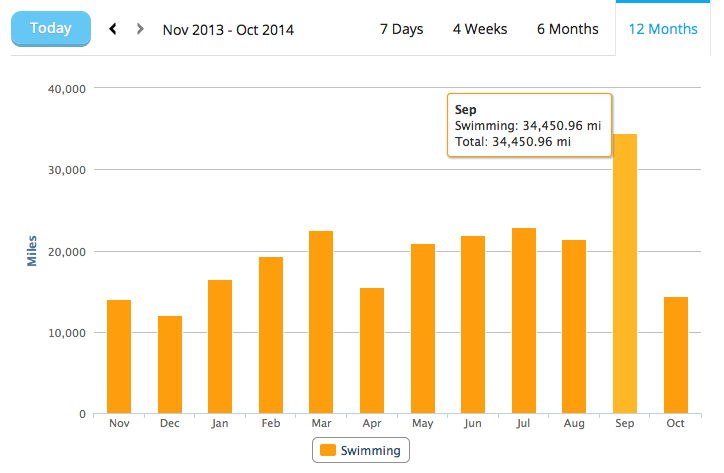 A picture is worth a thousand words… *yes, I know the swimming graph says miles…that number must be yards… or I need to change professions. Wow! 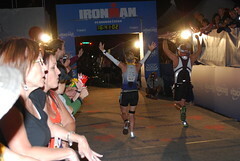 Are you going to put all that fitness into good use with some fall races? 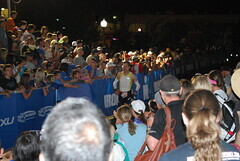 The big race is November 16, Ironman Arizona!